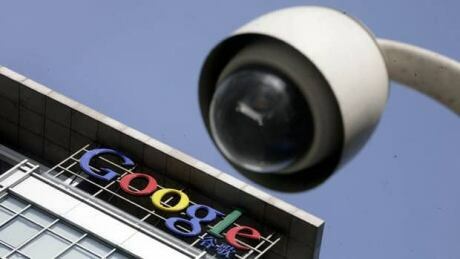 Some Google apps on Android devices and iPhones store your location data even if you've used privacy settings that say they will prevent it from doing so, a new investigation found. Google notes your location when you open the maps app, and the weather app also knows where you are. When Greyhound ends service in Western Canada in October, it will create bus deserts in many areas. Regional carriers plan to pick up some routes, but they only stop in 150 communities, compared to Greyhound's 360. As it stands now, 300 communities from B.C. to Manitoba will have no regional bus service at all. Airbnb's critics have long asked for the short-term rental company to be , and it's now telling the government that's OK. "I know people get shocked when we say that, but we do. We think we should be contributing," the company's Canadian public policy manager said. Calgary, Vancouver and Toronto were in the top 10 of an annual global ranking by the Economist Intelligence Unit of the world's most livable cities. Calgary, which was ranked No. 4, received the top ranking among Canadian cities. Vancouver was sixth, and Toronto seventh. Vienna was named the most livable city in the world. Skip the Dishes changed its contract with drivers.The changes prevent drivers from joining any class action against the company. The contract was amended days before a driver filed court documents for a lawsuit. Unionized Tims workers lose paid breaks. A group of unionized Tim Hortons employees in Quebec say their latest job contract, imposed by an arbitrator, unfairly cut their paid break time. A union representative says the move could dissuade unionization. House prices see modest price increase.New mortgage stress tests appeared to have , with the first year-on-year price increase, of one per cent, arriving in July after years of double digit increases. These chicken nuggets could contain salmonella; the hardware on these pictures and mirrors could break; this chafing dish fuel isn't properly labelled; these flashlights are a possible burn hazard; these slime kits don't meet safety standards for boric acid and the strings on these jackets could pose an entanglement risk. Our TV season has wrapped until the fall. Miss an episode? Watch Marketplace investigations on demand here.We are busy working on new stories and want to hear from you. What do you think we should investigate next? Email us at [email protected].